You surely remember a time you said a word to yourself and started laughing. Something about the syllables bouncing around your mouth just didn’t make sense. Maybe the word was “booby” or “piss” or “dingus” or “moist.” Maybe it was the name “Brumbpo Tungus” or “Scrimmy Bingus.” Well thankfully, now science is here to science its way through humor, ruining the joke for everyone. 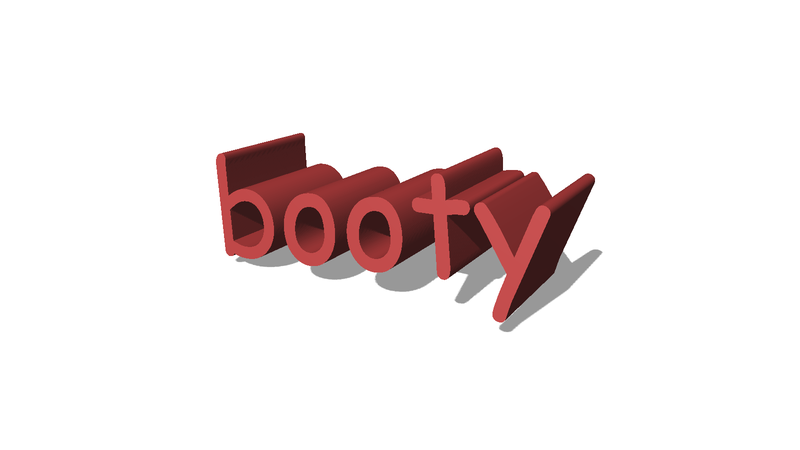 And according to a pair of researchers at the Department of Psychology of the University of Warwick in the United Kingdom, the funniest word is in the English language is booty. What kind of unfunny study participants are they asking? The team gathered a list of 4997 common words from past research, and after a practice session, asked participants to rate 200 words randomly selected from the larger pool on a 1 (humorless) to a 5 (humorous) scale. The participants also listed their demographics. The study ended up including 821 participants collected via Amazon’s Mechanical Turk. 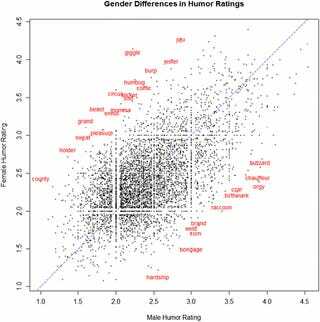 The researchers were also able to determine outliers—words that far more women or more men thought were funny. Of the participants, 478 or 58 percent were female, and 341 or 42 percent were male. Men and women participants agreed that “chug,” “fluff” and “scrotum” were funny about equally. Obviously, a study like this has plenty of limitations. Some scientists have expressed concern about the study relying solely on Mechanical Turk, since you don’t know who the participants are. The kinds of people performing the Mechanical Turk tasks could add a source of bias—they tend to skew young and liberal, according to New York Magazine reporting. On top of that, this is a fairly small sample size considering the size of the English language, and all the different cultures of people who speak English. Nor can this study say why any of these words are funny.